For a truly immersive multimedia experience, the sound quality is every bit as important as video quality. But the speakers you find installed inside most televisions are about as underwhelming as the speakers you’ll find on the back of a computer monitor. For the sake of getting a great deal on your TV, that can be a good thing. But when it comes time to setting up a home theatre, replacing or supplementing those weak speakers should be your first priority. Finding the right speaker system for your TV is largely a matter of knowing what kind of space you have available, and what kind of budget you’re dealing with. As far as space goes, it’s no secret that speakers can be bulky. Even smaller speakers can take up an enormous amount of space if you end up with a 5.1 or 7.1 surround system. Those smaller speakers then need to be perfectly placed around the room for optimal effect. But unless your entire room is dedicated to your television, odds are you don’t have the space, don’t want such an invasive system, and don’t want to pay for half a dozen separate speakers. For particularly cramped areas, even two separate speakers may end up being far be too bulky. And that’s why audio engineers designed the sound bar, allowing sound quality to be retained without the need to surrender half your room to placing speaker units. Sound bars make use of an extremely low-profile design intended to sit directly in front of your TV. Unlike many sound systems, you don’t have to deal with a complicated set-up process to get your sound bar going, it’s often as simple as plugging in one cord. 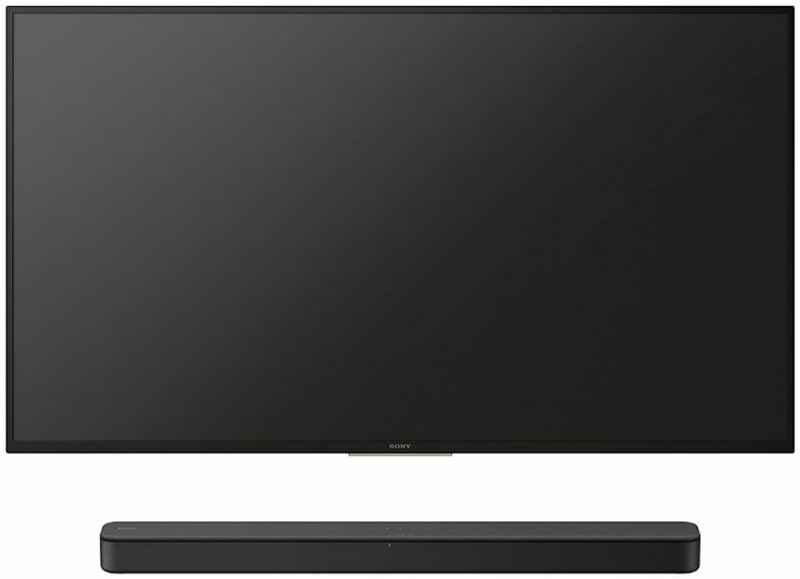 And if your TV is wall-mounted, you’ll find it’s easy to locate a sound bar that can be mounted directly below. As far as cost goes, buying one or two quality speakers can be expensive enough, let alone having to get half a dozen quality units. Another strength of sound bars is they’re extremely cost effective because you’re buying an all-in-one unit. It’s the difference between separately buying a knife, a corkscrew, and bottle opener, or instead getting a Swiss Army Knife. If space is at all a concern for you, then 5.1 and 7.1 systems should be immediately disqualified from consideration. Even a 2.1 system is drastically bulkier than a 2.0 system because of the addition of a large subwoofer that needs to be stored somewhere. Our instinct as consumers is to go after the speaker system that has the largest numbers, but in this case, that’s a silly mistake. The right 2.0 speaker system can sound far better than a 2.1 speaker system, or even a 5.1 speaker system, all depending on the quality of the sound drivers involved. Your typical 2.0 speaker system makes use of two independent speakers. For the sake of a sound bar, its design is actually more like a handful of speakers that have been crammed into a single unit. That compact design allows just enough space to represent a full range of sound frequencies, but doesn’t end up costing you half of your room in the process. You don’t need a degree in sound engineering to make some smart decisions when selecting the build of a speaker system. For the best possible sound quality, you want speakers with drivers that are specialized at producing specific frequencies. The market is full of versatile sound drivers that are designed for producing all frequencies on their own, but those generalist drivers aren’t capable of producing the same full-bodied sound quality as specialist drivers which produce only one range of frequencies. The most obvious example of this is with a subwoofer, which is a type of specialist driver for bass frequencies. 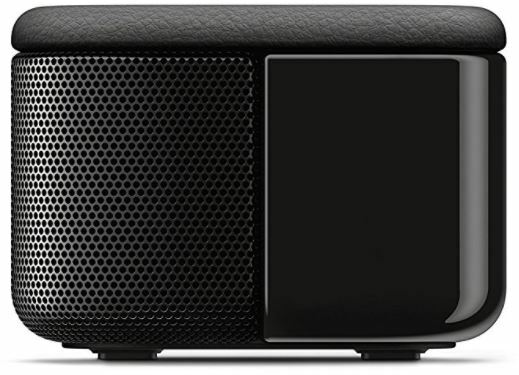 But a subwoofer only represents one third of the tones a speaker can provide, and specialist drivers for high tones and mid tones are just as pertinent to sound quality as bass frequencies. Many bass enthusiasts will spend hundreds on a speaker set that has mediocre sound tones except for the bass, but a well-balanced sound is only possible when every tone is well represented. Fortunately, many speakers allow you to identify what type of drivers are being used by physically looking at the device, and seeing how many cones are present. Multiple cones tend to indicate specialist drivers are being used, while single cones that look identical tend to indicate generalist drivers are being used. When it comes to tuning sounds, even the physical properties of the speaker matters. For example, bigger speakers are capable of producing better bass response. That can be problematic for anyone who doesn’t want a towering set of speakers taking up more room than TV does. But sound bars can be elongated enough to provide a relatively strong and deep bass. When it comes to sound equipment, choosing the right price point is very important. Speakers have very few mechanical parts that are worn down with time and use. If you take care if your sound equipment, it can last for decades. Long after 1080p televisions are considered a thing of the past, you may still be using your sound bar. That being the case, you want to choose a sound bar that can provide lasting quality. But it’s important to know that audio quality is far more complicated than video quality. The quality of a video can essentially be broken down into two components, the quality of the recorded source material you’re watching, and the resolution of the television that material is being played on. If you’re watching a 1080p movie on a 1080p screen, then you have everything you need for a full 1080p experience. But audio quality is determined at half-a-dozen different points, not just two. Each of those points is capable of bottlenecking the quality of your audio. That means unless you’re going to invest heavily in each point, which can easily cost more than a thousand dollars, then the right point of entry for an at-home sound system is between $100 and $150. For that range, it’s possible to get a well-rounded high quality sound without having to worry about buying sound quality that you won’t actually get to experience. You might want to connect the speaker to stereo equipment, your phone, your computer, or a dozen other devices. Having a range of connectivity options are increasingly common on speakers. Many speakers still only provide bare essentials, sometimes intentionally so for the sake of simplicity. But for a fully versatile design, you may want to look for USB connections, Bluetooth support, or optical audio connectors. Connectivity also plays into how you’ll be controlling the volume. Having an independent volume control knob is convenient in many circumstances. But can be inconvenient if you end up wanting the device mounted in a fixed place, and you’re not sitting near the knob. Regardless of how you’re going to address the problem, you’ll want to know you can adjust the volume easily. In most cases that either involves an independent knob or a remote. For the most part, technical specifications aren’t something you have to pay close attention to for choosing speakers. If you’re an audiophile, there are a handful of exceptions to that rule. But for the most part, even someone who understands all the technical jargon won’t able to use it to understand how the unit being described actually sounds. Listening to a pair of speakers is always your best bet, but reading a handful of reviews is the next best thing. The S-Force PRO is Sony’s attempt to cram their signature audio quality into a relatively compact 2.0 sound bar system. It makes use of a particularly elongated design that’s intended to sit directly in front of your television, not unlike the central speaker unit of a 5.1 sound system. Except unlike a 5.1 sound system, this sound bar has a number of specialized sound drivers that ensure it can provide a well-rounded sound. As a result, this sound bar is just as good for listening to music as it is for television. The most notable part of this design is the integrated tweeter, which is a treble speaker specifically made to produce higher audio frequencies that are towards the upper limit of human hearing. Without a tweeter, many of those sounds simply can’t be created by inferior audio equipment. In other words, the difference between this sound bar and your standard television speakers is so considerable, you may literally hear sounds that were not audible on your prior equipment. In some cases, it can be like watching your favorite movie for the first time. Additionally, the S-Force Pro uses what Sony calls Front Surround technology, which is designed to help emulate a surround sound experience on a 2.0 channel system. Although there’s no true substitute to surrounding yourself with speakers, Front Surround does provide a reasonable strong illusion of surround sound. The bulky design of this sound bar also allows it to contain its own bass reflex speaker, ensuring a full range of deep tones. The HT-S100F makes use of a compact design that helps you be space conscious. 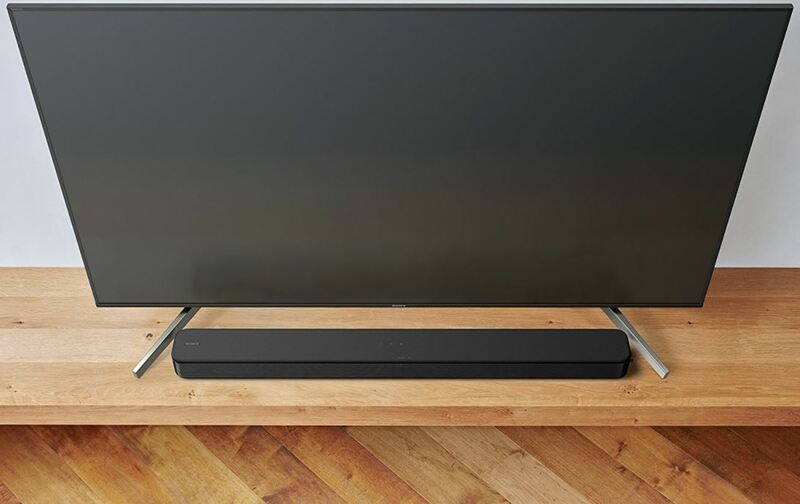 At the core of that design is a 35.5 x 1.5 x 3.5-inch build, allowing this sound bar to rest easily just about anywhere. Without cabling, it weighs roughly 5.3 pounds, which is light enough to be comfortably placed on your wall without the need for any specialist mounting equipment. As far as volume goes, the power output of the amplifier is 120-watts, but fortunately you’re only looking at 30-watts of power consumption under standard use. As far as connectivity goes, the HT-S100F is equally versatile. You can connect through Bluetooth 4.2 one optical input, one HDMI ARC port, or one USB port. If you’re going to make use of the wall mountable design, then you’ll likely want to take advantage of the Bluetooth connection as well. This sound bar also includes a relatively intuitive remote that lets you adjust the volume from anywhere. Unfortunately, NFC support isn’t included, so you won’t have any one-press connectivity to your Bluetooth devices. But the fact these are manufactured by Sony lets you rest assured that compatibility issues and connectivity problems will be few and far between. Who Should Buy Sony’s HT-S100F? Speakers are one of the longest-lasting parts in a home entertainment system, so it’s often worth making them an investment. And the HT-S100F is a stunning mixture of quality and value. They provide a full range of tones that will help ensure everything you listen to will sound great. You’ll probably be tempted to start listening to your music through these speakers just as often as you find yourself using them for your TV. But whether or not you want this sound bar truly really hinges on their size. As far as quality speakers go, you typically want them to be as large as you can manage. Bigger isn’t always better, but you can pack a lot more in a large frame. A sound bar is the right choice if you don’t have the space, or otherwise don’t want speakers taking up a large part of a room. And the almost 3-foot length of this sound bar allows Sony to pack in quite a bit of hardware into one small unit. That makes this sound bar a perfect choice for anyone who wants a high-quality room-filling sound, but doesn’t want to lose half of that room filling it with speakers. In short, if you’re looking for a sound bar, The HT-S100F is likely the best you can do short spending $1,000 for a full speaker system. Would this soundbar work as a center channel speaker? Is it really two channel speaker and not work properly with 5.1?